On 20 December 2013, The United Nations (UN) General Assembly 68th Session proclaimed 2015 as the International Year of Light and Light-based Technologies (IYL 2015). This International Year has been the initiative of a large consortium of scientific bodies together with UNESCO, and will bring together many different stakeholders including scientific societies and unions, educational institutions, technology platforms, non-profit organizations and private sector partners. In proclaiming an International Year focusing on the topic of light science and its applications, the United Nations has recognized the importance of raising global awareness about how light-based technologies promote sustainable development and provide solutions to global challenges in energy, education, agriculture and health. Light plays a vital role in our daily lives and is an imperative cross-cutting discipline of science in the 21st century. It has revolutionized medicine, opened up international communication via the Internet, and continues to be central to linking cultural, economic and political aspects of the global society. On the most fundamental level through photosynthesis, light is necessary to the existence of life itself, and the many applications of light have revolutionized society through medicine, communications, entertainment and culture. Light and photonics are poised to become key enabling technologies of the future. 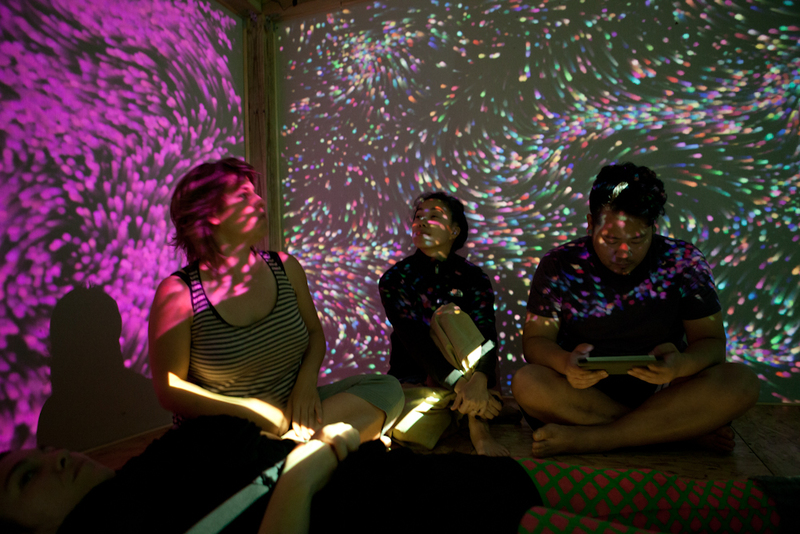 All over the globe, people are using light to discover solutions for society’s most pressing problems. From 3-D printing to bringing energy solutions to developing regions, light is key in driving economies and encouraging the development of civilization. Courtesy of: Light Up the World (www.lutw.org) For over 1.5 billion people around the world, night-time means either darkness or the dim glow of an unhealthy kerosene lamp or candle. Such poor-quality lighting has dramatic impact and health and educational opportunities, and an important aim of the International Year of Light will be to promote the use of portable solar-powered high-brightness LED lanterns in regions where there is little or no reliable source of light. Courtesy of: Light Up the World (www.lutw.org) In developing and third-world countries without access to electricity, 1.3 billion people depend on kerosene for light. The burning of kerosene lamps leads to the death of 1.5 million people every year. Inhaling kerosene smoke is the equivalent of smoking 4 packs of cigarettes a day, and commonly induces respiratory illnesses such as asthma, bronchitis, pneumonia, and cancer in tens of millions of people. The open flame of kerosene lamps also pose as an obvious danger to households. Moreover, impoverished families spend up to half of their income on kerosene which not only provides inadequate illumination but also emits extremely harmful black carbon into the Earth’s atmosphere. Kerosene lamps contribute to a vicious cycle of poverty that needs to be broken. Providing clean, efficient forms of energy to developing communities is not only important for health reasons - it is also vital for productivity. Families in rural communities rely on work to provide for the most basic needs of their family, and are currently limited in hours due to scarce lighting after sunset. The majority of children in developing countries are also expected to work during the day to help provide for their family. 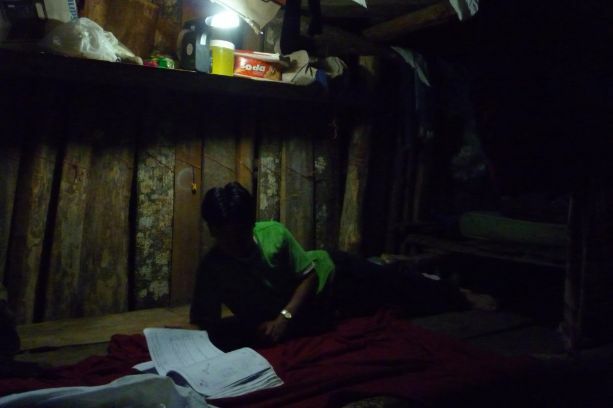 With no or inadequate light at night, these youth are unable to read or write, and thus deprived of an education. Possibly the most pressing issue of all is access to healthcare. Hospitals are able to care for patients during the day but shut down operations at night because they do not have adequate lighting. With limited health care professionals and increasing levels of illnesses and disease in developing countries, it is crucial that these hospitals receive new means of lighting. Difficulty convincing these off-grid communities that sustainable, high-tech lighting alternatives is the reason many are still using kerosene lamps. There are countless organizations that devote their efforts towards providing clean lighting in the form of solar and LEDs, but it is not always an easily executed task. The Global Off-Grid Lighting Association (GOGLA) is especially active in contributing to the further development of the off-grid lighting sector through several ongoing projects. In their words, “positioning off-grid lighting outside the philanthropic arena as a fully recognized industry in an important and growing market”. GOGLA is constantly working with businesses in developing countries to reduce barriers and increase opportunity for sustainable lighting alternatives. To help contribute to GOGLA’s efforts in expanding the off-grid lighting market, participate in an upcoming event or become a member .